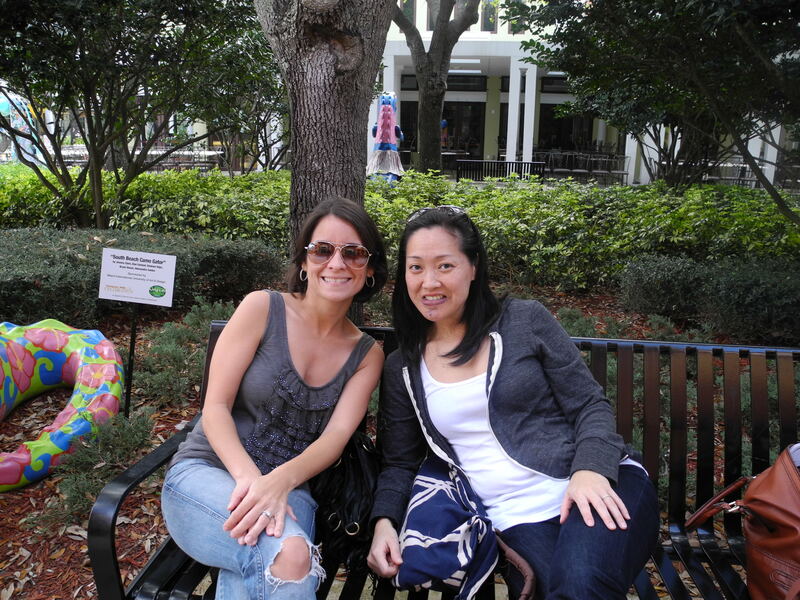 ← “It’s just an American joint that serves nice food, wine and spirits” …..
a weekend in FL …. … with my little big friends from NYC. Sometimes all you need to recharge your soul is a weekend away with some good homemade food, some shopping, a gorgeous beach and the best friends of 18 years that a girl can have. 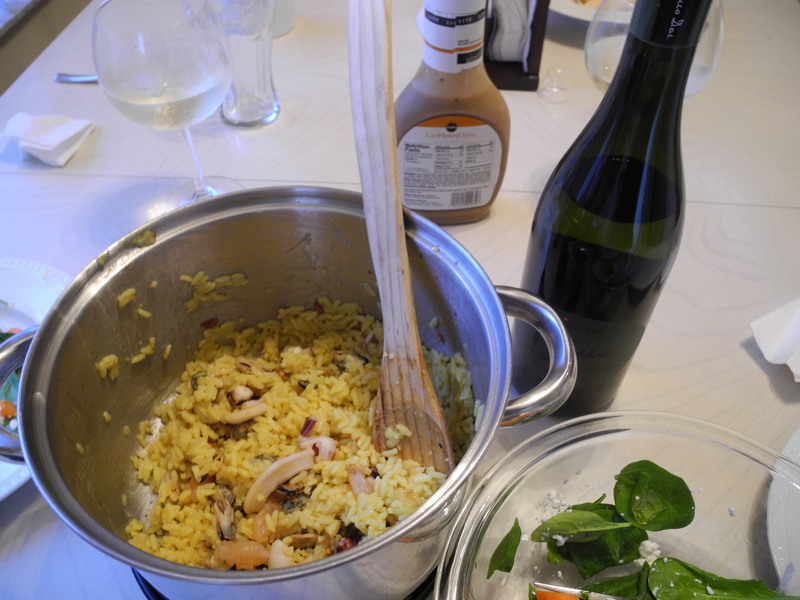 The first night, my friend Judy made us the most delicious and EASY homemade meal of Spanish rice with mixed seafood and a spinach salad with goat cheese; with, of course, some prosecco to wash it down with. All she did was make some yellow rice that already included all of the Spanish spices for Paella and mixed in some frozen bagged seafood. Judy thought nothing of it, but it was exactly what Stella and I needed; and at the moment there was nothing in NYC that could bring us greater comfort. A weekend in Florida wouldn’t be complete without going to the beach. There is nothing better than waking up to a gorgeous day and walking out to the beach, knowing that Winter is still underway in New York. We were in heaven, the beach was gorgeous and the water temperature was perfect. This entry was posted in Uncategorized and tagged beach, Florida, Paella, vacation. Bookmark the permalink. 1 Response to a weekend in FL …. i love it! what about doraku????? you captured it just right. what a great girls weekend. thank you guys. love you!!! !